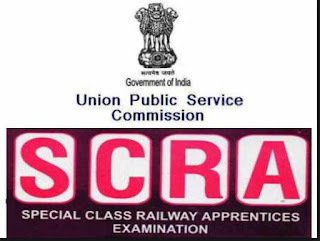 EXAM SCRA(Special Class Railway Apprentice) exam ki tyaari kaise kare or safalta kaise prapt kare? SCRA ka full form Special Class Railway Apprentice Exam hota hai. Yeh exam UPSC(union public service commission) dwara conduct karwaya jaata hai. 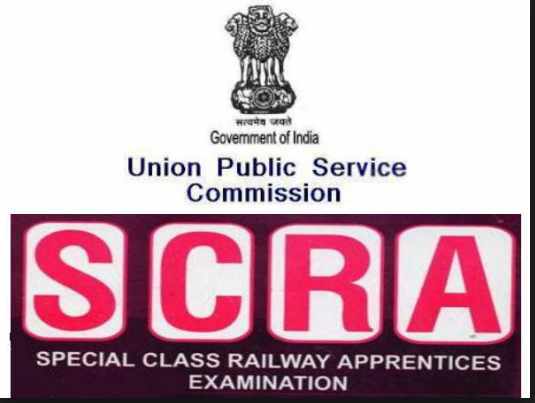 UPSC, SCRA exam ko conduct karwati hai jisme India railways mein Mechanical Engineering Departement mein special class ke apprentices(sikshaarthi) ke liye bharti hoti hai. Iska exam January month mein hota hai. Candidates ka selection written examination or interview ke adhaar per hota hai. Written examination mein aane wale saare subjects ke papers objective hote hai(multiple choice questions). SCRA exam ki Question papers ki booklet English mein set ki gyi hoti hai. SCRA exam ke Question paper ke andar jahan kahin bhi SI units ki jaroorat pdti hai wo di jaati hai. Question paper lagbhag Intermediate ke standard ka hota hai. Candidates ko answers khud apne haathon se likhne hain. Kisi bhi halat mein wo kisi bhi lipik(likhne wala) ki madad nhi le skte hain jo unke answers likhe. Ab ham baat krege ki scra written exam mein kis strategy ko apnane se aap success hansil kar skte hain. General Ability test (GAT) mein aapko G.K(general knowledge), English or Mental ability se related question milenge. General knowledge mein jo questions pooche jaate hain wo History,Politics & Society in Indi, Environment, Constitution of India, Money or Taxation se pooche jaate hain. Is section mein kai question English language, General Mental ability or psychological test mein aapki understanding or uske upar aapki kitni command hai isko test karne ke liye pooche jaate hain. Candidates ko daily newspapers, magazines or journals per jyada focus rkhna chahiye taaki wo khud ko SCRA exam ke General Ability test ke liye update rkh sake. Jyada se jyada model papers ki practice karne se bhi aapko bahut fayda milega SCRA exam ko crack karne mein. Candidates ko alag-alag concepts or principles ke applications per dhyan jaroor dena chahiye. Or ek revision sheet bhi bani honi chahiye jisse aap samay-samay per usko revise bhi karte rhe jiski madad se aap important formula/points ko asaani se lambe samay tak yaad rkh paayenge. Concept ki clarity ke liye aapko physics ke question jaroor solve karne chahiye. Mathematics section ke or physics section ke jo numerical style ke question hote hain unme calculation karte waqt speed or practice dono bahut madad karti hain. Chemistry ke har section ki separate(alag-alag) study kare taaki aapko confusions naa ho jaise Physical Chemistry, Organic Chemistry or Inorganic chemistry. Theorems or formulas ki ek list tyaar kar lijiye jisse aapko quick revision karne mein help milegi. Mathematics section ko crack karne ke liye aapko mathematics ki basic knowledge jaroor honi chahiye yaani aapko V se lekar XII ki maths jaroor aati ho. Aapka focus jyadatar Objective type ke questions per hona chahiye kyunki jyadatar yahi pooche jaate hain. Candidates ko har chapter mein apply hone wale basic rule jaroor pata hone chahiye. Dil se formulas ko yaad kare or unko apply bhi kare taaki aap exam mein perfect tarike se jyada questions solve kar paaye. Kewal formula yaad karne bhar se kuch nhi hota hai uska application karne se hamara concept or clear ho jaata hai jisse hame aage chalkar koi pareshani nhi hoti or hamara concept hamare mind mein lambe samay tak bana rhta hai or isko hame baar-baar ratne ki jaroorat bhi nhi padti hai. SCRA exam ke liye Sabse pehle aap poore syllabus ko study kijiye or har sub section ko alag-alag banaye. Or jyada se jyada model question ki practice kare jo Previous question papers mein aa chuke ho isse aapko exam mein achaa score karne mein madad milegi aap previous question papers se yeh analysis kar payenge ki kis sub section se question pooche jaate hain or unme kis formula ka application hoga or jitne jyada aap question papers lagayenge aapka paper mein safalta ka percentage utna badta jayega or aap exam mein ache marks score kar payenge. 12th class ki Mathematics textbook ke question jaroor solve kare kyunki jaisa ki maine aapko pehle bhi bataya hai ki yeh exam intermediate level ka aata hai to ham 12th class ki maths kaise bhul skte hain. Iska ek or fayda bhi hai ki isse aapki agar engineering entrance exam ki bhi tyari kar rhe ho to isse aapki inki bhi tyaari ho jayegi. Apko CBSE/ICSE/ or guides jo intermediate level tak ki ho unse tyaari karni chahiye kyunki jyadatar competitions mein NCERT books se hi question pooche jaate hain or usi ke concept se questions aate hain. Sabhi subjects(GAT,physical science or maths) ka har ek paper 2 hr ka hota hai or har ek paper 200 number ka hota hai yaani total 600 number. AGE LIMIT: SCRA mein appear hone ke liye candidates ki age 18 se 22 ke beech mein honi chahiye. To doston ek smart strategy ke sath SCRA exam ki preparation shuru kar dijiye form fill karne ka intezaar naa kare apni tyaari jaroor poori rakhe or hamesha motivated rahe. Dhanyawaad!! !